Do you know what has been living in your duct work besides just dust? Do you know how many air pollutants you are exposed to inside your home? Do you know the date when you last changed your air filters? Do you regularly feel stressed and overwhelmed, but are uncertain why? Let me assure you that you are not alone. Almost daily, homeowners put their health and the health of their families at risk by unnecessary exposure to dust mites, mold, and unhealthy air. Yet most of these same homeowners spend more time inside their homes than outside their homes. While most homeowners would agree that a clean home is a much more attractive home, few understand the environmental health risks associated with an unclean home. Isn’t it strange how people will spend a fortune on exercise equipment and diet books to get healthier only to come home to an environment of mold, dust, dander, and other impurities? Are you one of these people? Don’t be. We are about to tell you how you can stop. Did you also know that clutter in a home also puts your health at risk? While many homeowners do have at least a basic understanding about the dangers of dust and mold, most homeowners just dismiss clutter as something to one day be picked up. Little do they know that clutter over a period of time brings with it a sense of feeling overwhelmed—leading to additional stress. This is never a good thing. Not to mention the additional dust and dirt, which could be accumulating under a mountain of clutter. So, why haven’t you done something about the clutter and impurities in your home? You are a busy professional juggling a career and family. You barely have time to do the basic cleaning—let alone anything more than that. You don’t have time to research the best cleaning supplies and equipment on today’s market. You may have even have had a bad experience with a previous cleaning company. If you have had a bad experience with a pervious cleaning company, let me reach out to you now and assure you that it won’t happen again. We are Serenity Cleaning Solutions, LLC and we are here to address these same issues. I know because I am Kerry Young, the owner. I grew up right here in the Front Royal, Virginia. Right in the heart of the Shenandoah Valley. A beautiful place known for its scenic beauty, canoe races, history, and unfortunately for its high pollen count. However, with the right cleaning solutions applied to your home that shouldn’t stop you or anyone from living in this beautiful area! What makes Serenity Cleaning Solutions unique? While a lot of cleaning services offer great service at an affordable value, we go a step further. We are completely honest and transparent with not only our estimate, but also our work. No hidden fees or “mystery math” in our free estimate. We will explain everything—including how we arrived at the estimate. Shouldn’t your home once more be restored to a place of safety, beauty, and harmony? We think so. Your home was meant to be a place to come home to and relax. It should be a place of peace and harmony, a shelter from danger and harm—both inside and outside. At Serenity Cleaning Solutions, we believe that your home should still be your castle. Just a much cleaner, safer, and healthier castle! Here is what one satisfied customer said about us. There are many more positive Google Reviews where that one came from. You can read them for yourself. We will/can even take you aside and show you exactly what we have found in your duct work when using our VIS Duct Inspection Cameras. We can go up to 65 feet into the duct work, and you the customer can watch these findings on a 10” monitor. While you don’t have to view our findings, they are there for your education. We can even save them to a Windows Media file that you can view on your home computer at your leisure. We can’t get any more transparent than that! What are the additional benefits of using Serenity Cleaning Solutions? a written contract with no hidden costs or confusing fine print. a realistic expectation of the work and procedures to be done. a list of future recommendations for keeping your home clean. As Air-Care Quality Specialists, we will even educate you on our products and why we use them. Our technicians are trained and certified through the Institute of Inspection Cleaning and Restoration Certification (IICRC). Will you take our 7-day health challenge here at Serenity Cleaning Solutions? 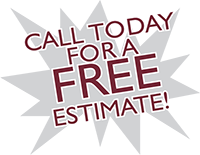 Promise us that this week you will give us a call for a FREE estimate. Why not make a promise to yourself today to live in a cleaner, healthier, and less stressful environment? Take this health challenge. For every day that you put off calling for a FREE estimate is another day of unhealthy air and unnecessary exposure to dust, mold, contaminants, and unhealthy air. You are putting your health and your family at risk. Do it for your health. Do it for the health of your family. Put our values, work ethic, and integrity to work for you. Pick up the phone and call us today at (540) 671-3774.